Sweet Sweet Money Spell, Seasonal Supplies | Broomsticked The Life and Times of a Real Witch. So recently and actually in the past, just forgot and kinda rediscovered, put it that way lol That Citronella candles for me really seem to bring in the money for personal businesses at least. 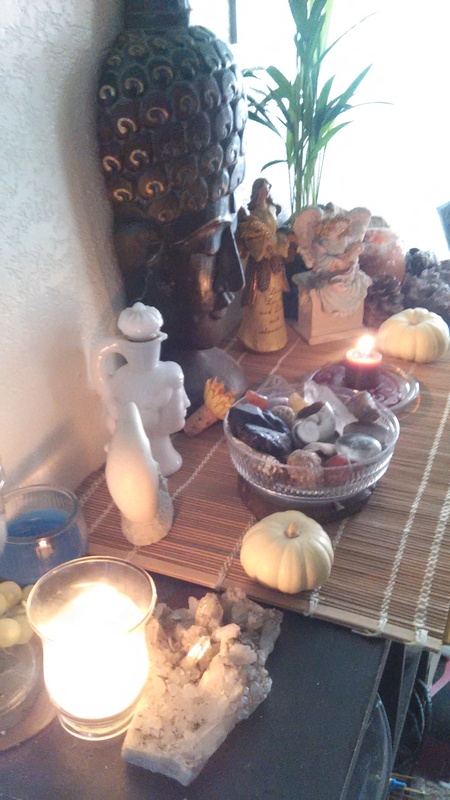 I hit a summer close out sale and bought a bunch of citronella candles at once, and have found that combining them with this season’s mini gourds and pumpkins on the altar has really kicked my personal money spells up a notch! I now also add a sweet brown sugar and honey candle to keep the new clients coming in more ideal to work with. Finding that’s helping a lot with job stress. If you run your own business give that combo a try! Let me know if it works for you! This entry was posted in Uncategorized and tagged business spell, free money spell, money spells, spell casting advice. by broomsticked. Bookmark the permalink.